Ex Hex; Mary Timony center. While Carrie Brownstein got most of the attention in Wild Flag—and, hey, even if you never worshipped at the altar of Sleater-Kinney, who doesn’t love Portlandia?—that short-lived supergroup was very much a four-piece band, and the joys of making a glorious noise as such were the subject of its best songs. The Richard Lloyd yang to Brownstein’s Tom Verlaine yin (or maybe that was vice-versa), guitarist, vocalist, and songwriter Mary Timony was Wild Flag’s secret weapon, as I duly noted in my review of the band’s one self-titled album in 2011, and as she proved during the group’s appearance on Sound Opinions. Alas, if there was any good news about the end of Wild Flag—“We had a fun run… but all the logistics started seeming not quite worth it,” Brownstein said in 2014—it was that Timony was free to return to a stellar career as a solo artist and band leader, even if it is one that never has garnered the attention it’s deserved. Born in Washington, D.C., where she formed her first widely known combo Autoclave and recorded for the godhead Dischord Records, she went on to become the leader of Helium, a key part of a vibrant ’80s scene in Boston that also included Dumptruck, Salem 69, Dinosaur Jr., and the Volcano Suns. Helium made two strong albums and three EPs for Matador, then Timony went solo, giving us three more albums on her own that brought a more witchy, psychedelic-folk/progressive-rock vibe to Helium’s Velvets-influenced indie-rock drone. 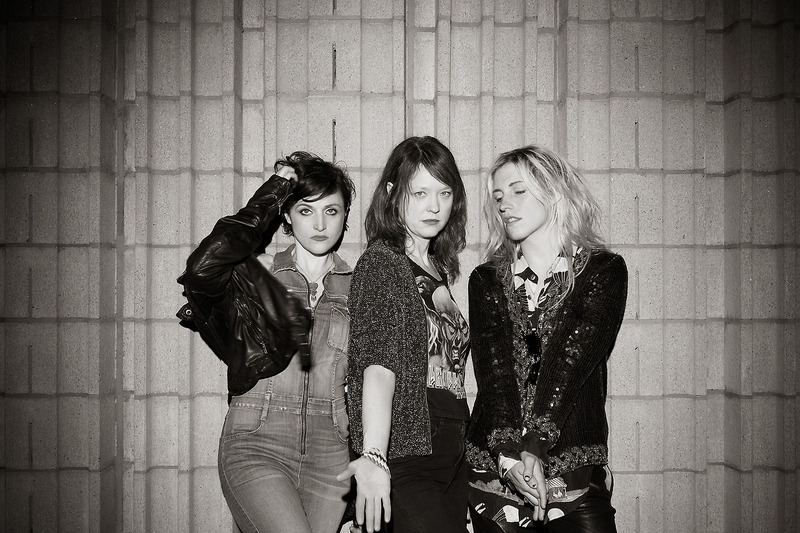 Now she has a new group, which may or may not be named after her last solo release, Ex Hex in 2005. 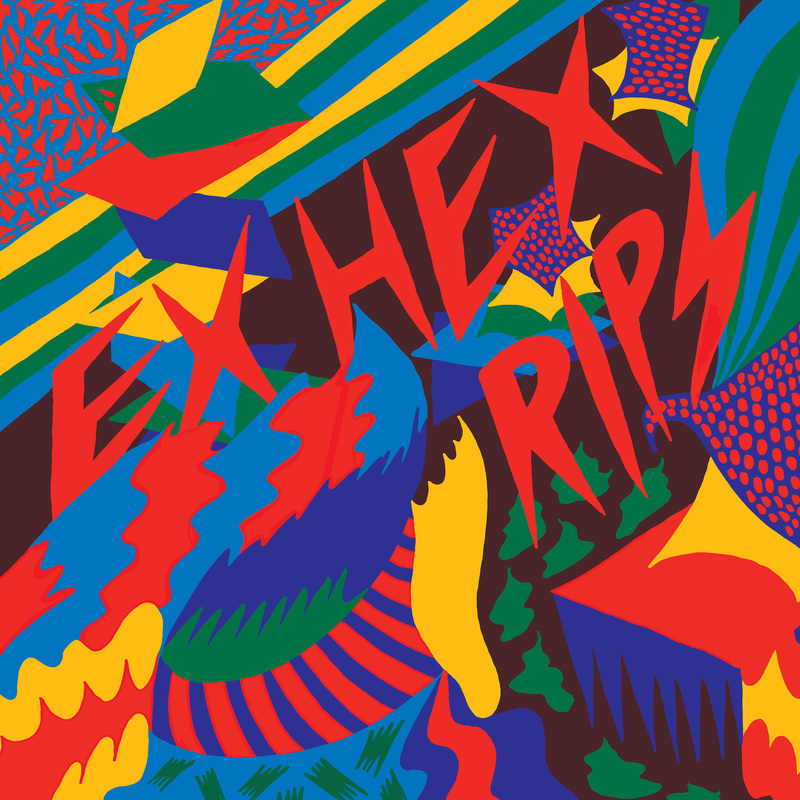 Ex Hex the band finds Timony fronting a power trio completed by drummer Laura Harris and bassist/multi-instrumentalist Betsy Wright. Recorded in part with legendary ’80s producer Mitch Easter, the man behind R.E.M.’s Murmur, Rips has less of the pagan murk you might expect from this pairing and more ferociously punky garage-rock drive than anything the band’s leader has delivered since Dischord. In its Merge Records bio, Ex Hex describes its debut as “twelve songs about underdogs, guys stealing your wallet, schoolyard brawls, and getting bent,” recorded in a relatively quick-and-dirty two-week span, and inspired in part by the timeless art-punk of Richard Hell and the Voidoids. No doubt that when it comes to singular sounds, inventive solos, and memorable riffs, Timony rivals even the late, great Robert Quine, the Voidoids’ lead guitarist. But she also always has been an underrated pop craftswoman—“Probably the happiest I am is if I’ve written a melody that I feel is really cool and catchy but it’s also a little bit different or new-sounding,” she told me back in 2003—and with stand-outs such as “Don’t Wanna Lose,” “Beast,” “Radio On” (a nice nod to the ultimate Boston rock anthem “Roadrunner”), “New Kid,” and “Hot and Cold,” she never has sounded better or more beguiling.